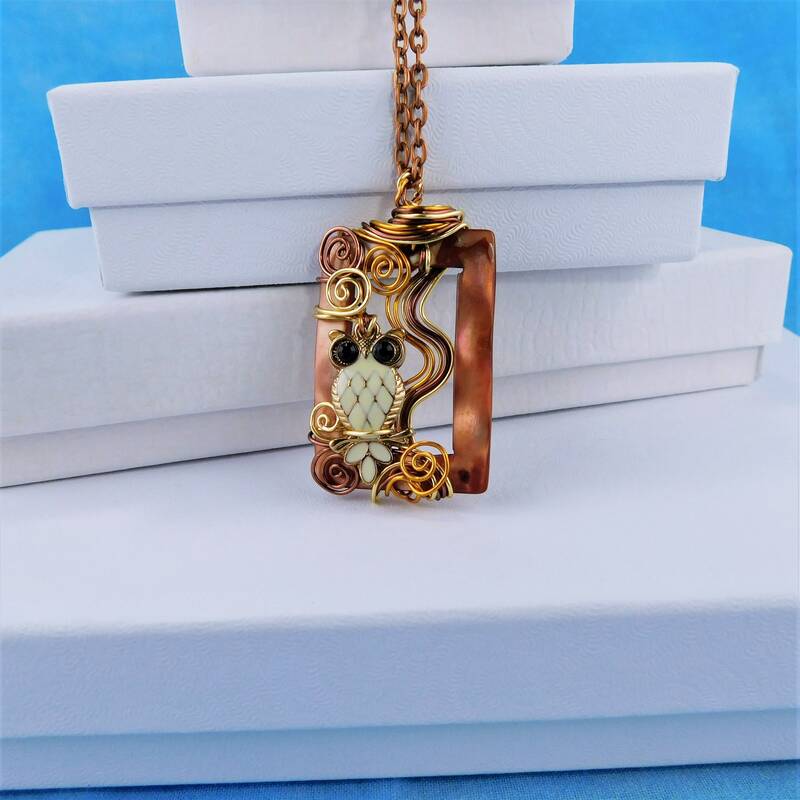 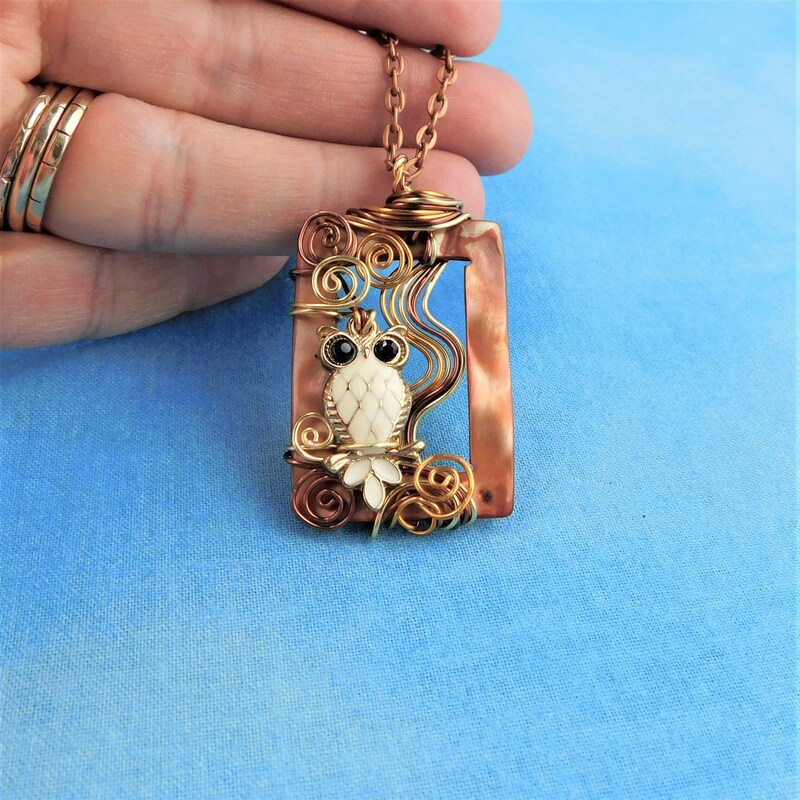 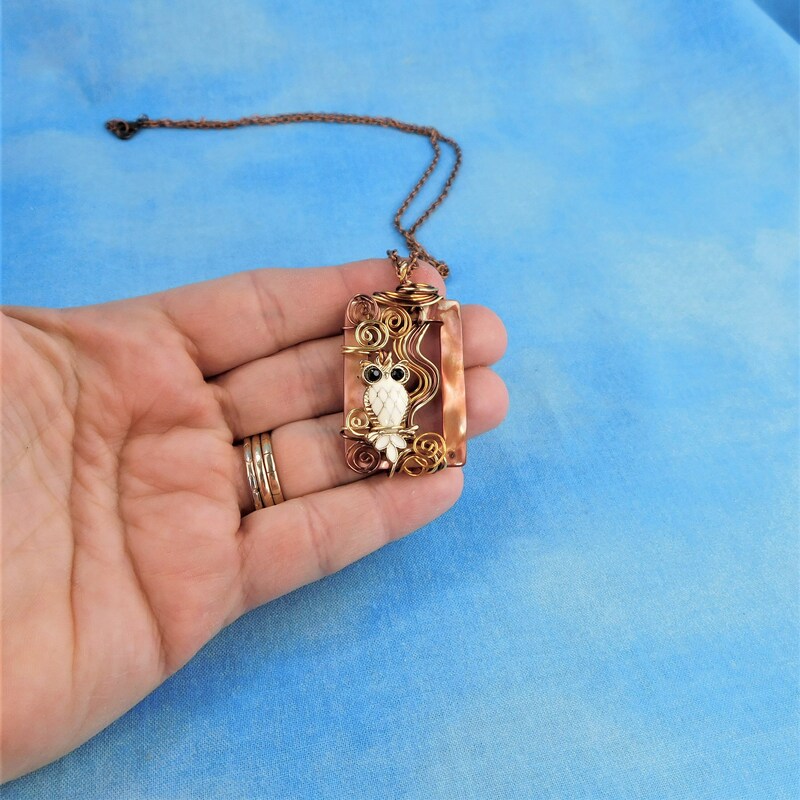 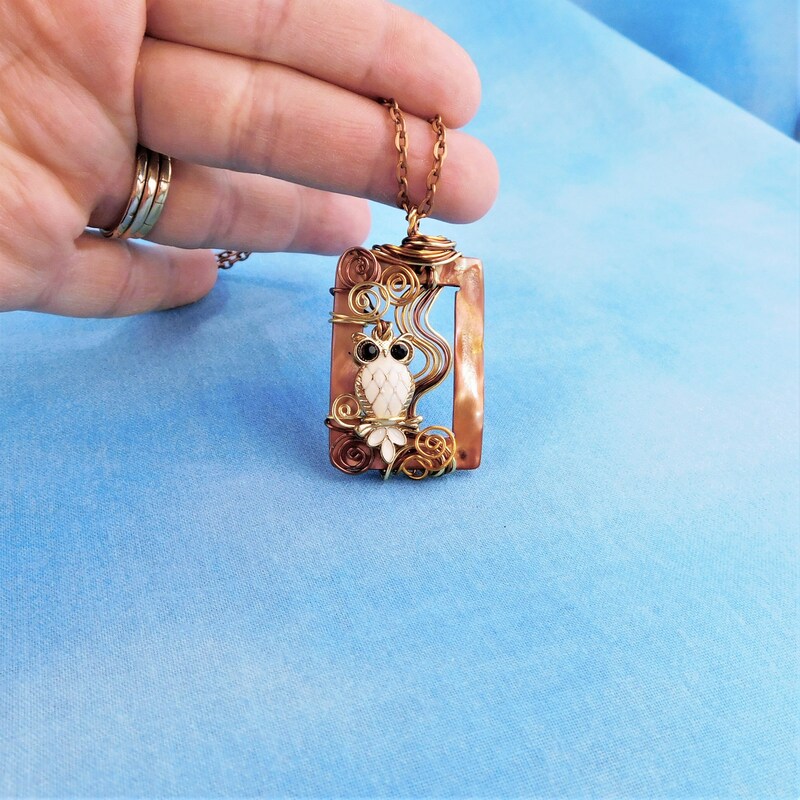 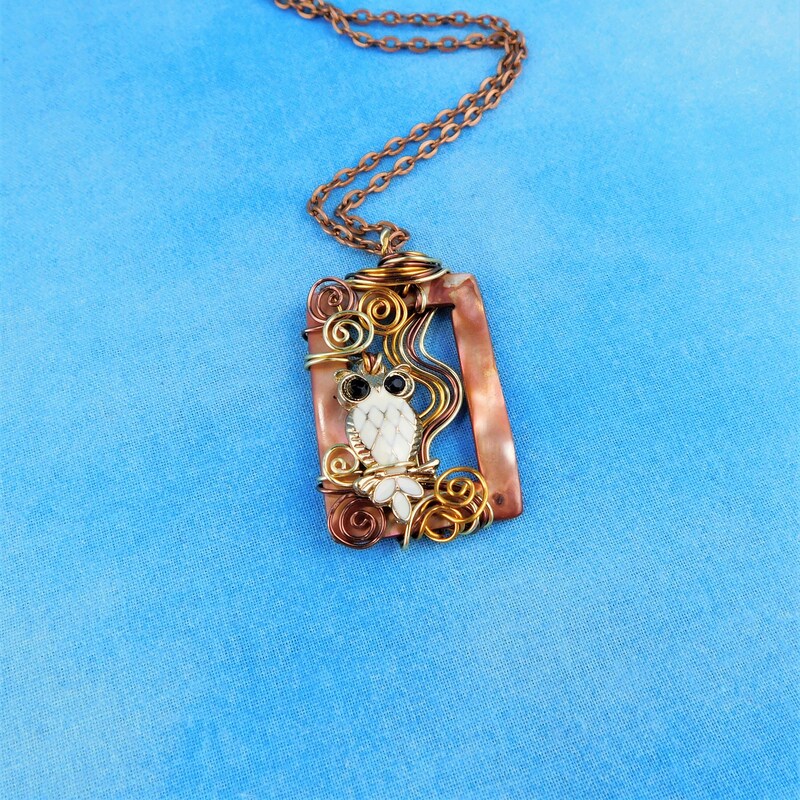 Three different shades of copper wire are sculpted and wrapped into the shape of a tree branch, with a copper owl roosting. 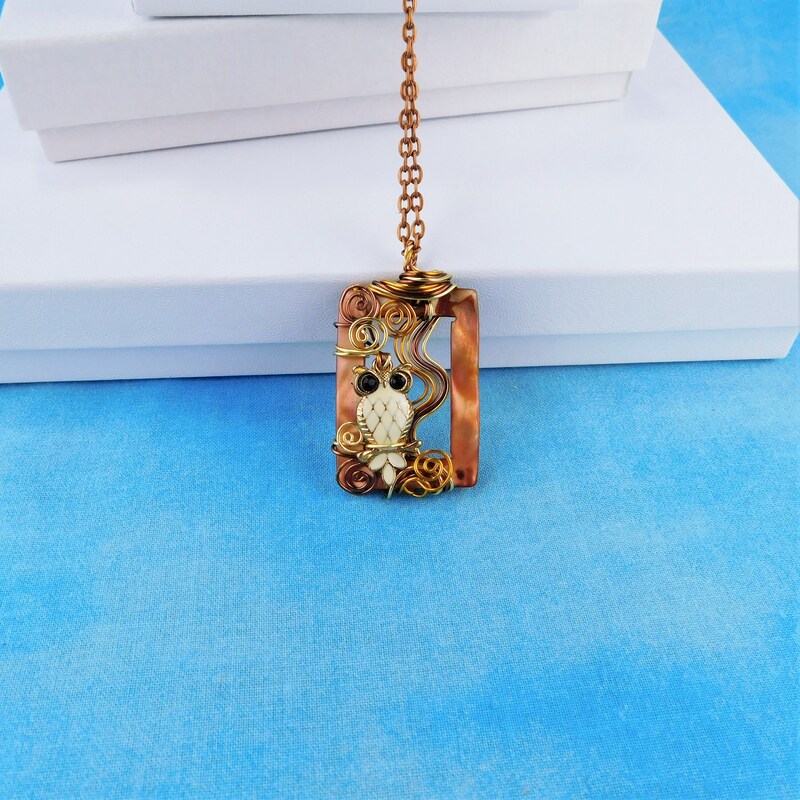 The clever owl waits to see Whoooooo he will fly safely home to live with. 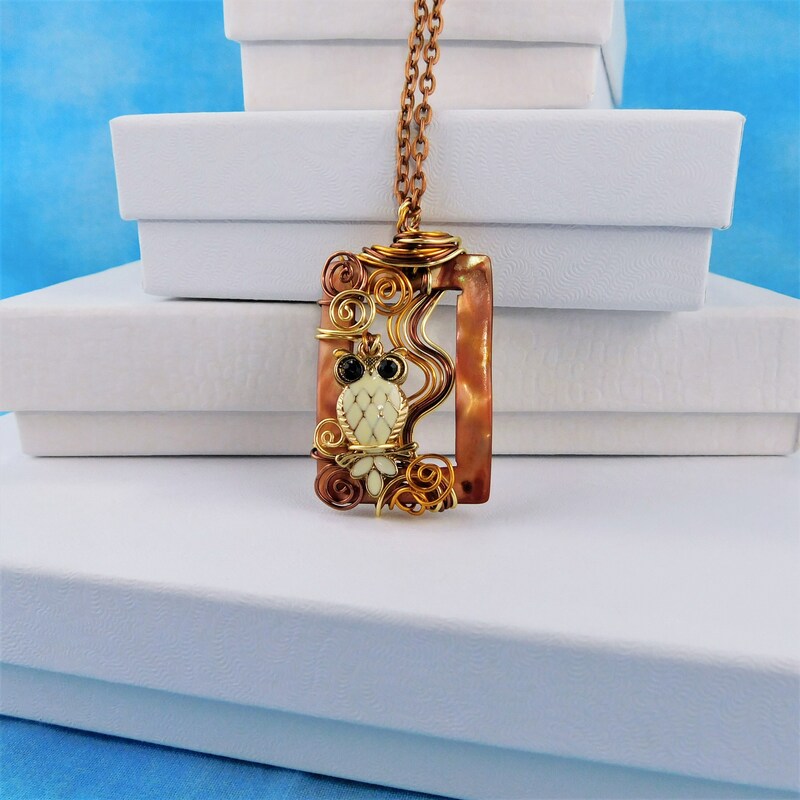 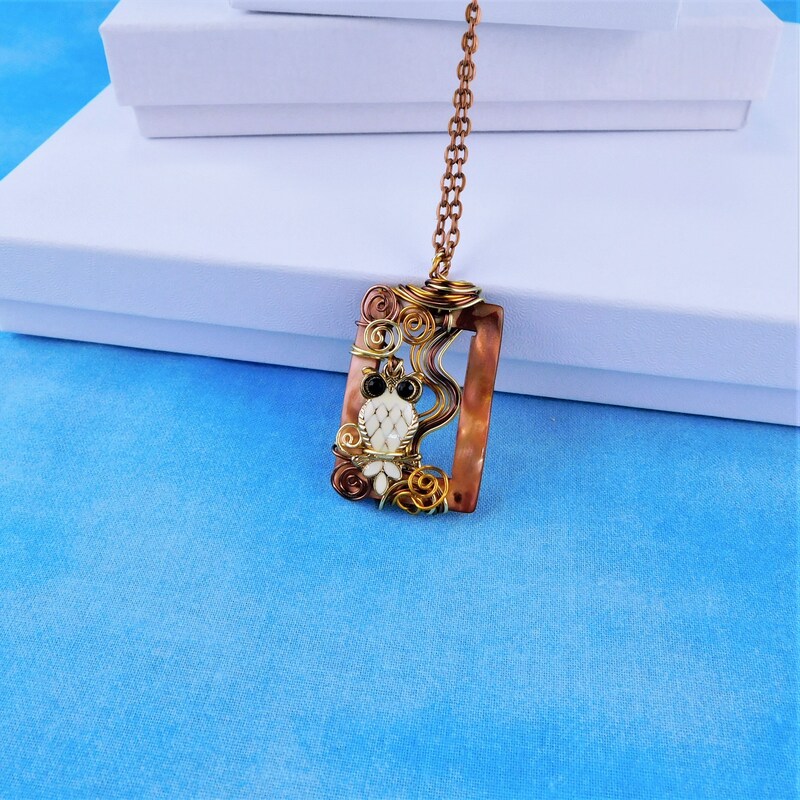 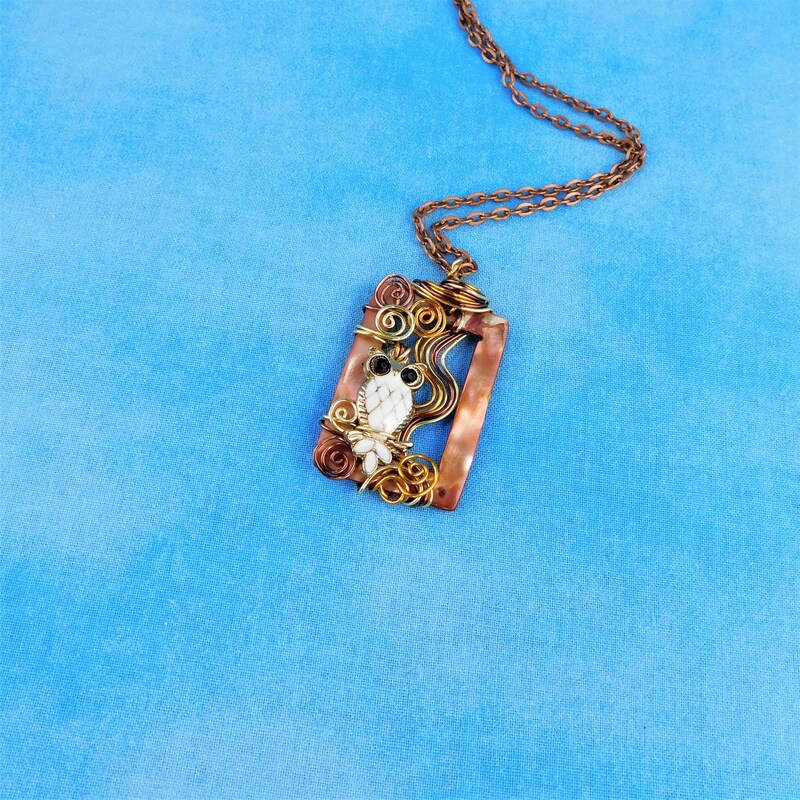 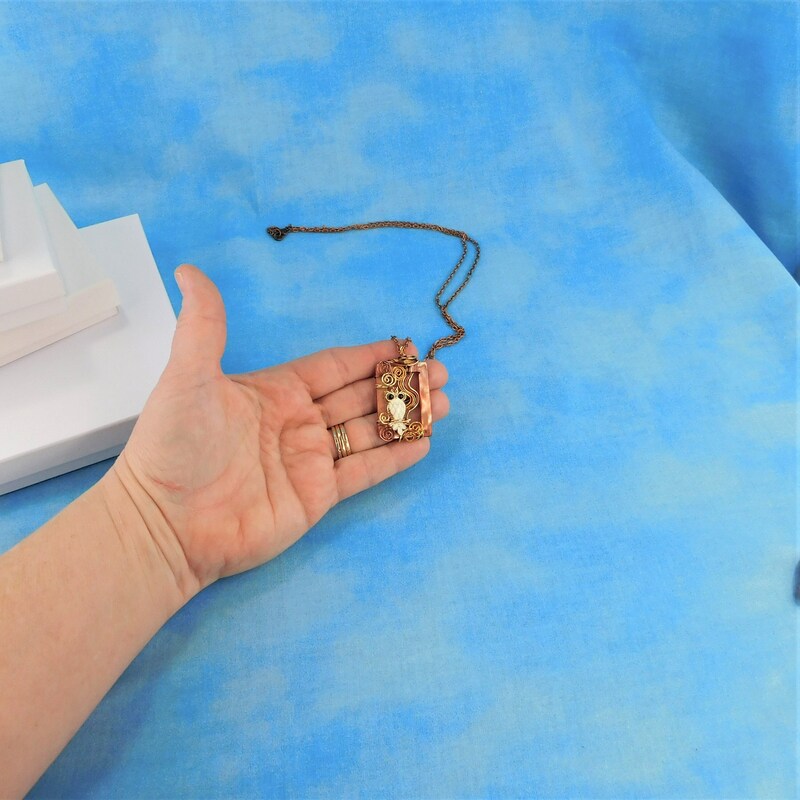 This unique pendant comes with a FREE coordinating chain measured to your preferred length.